I was puzzled. Where were the palm trees and powder soft beaches? I’d just arrived in Mauritius and instead of taking the coastal road, we headed inland – plus there was talk of swimming with wild dolphins – transforming my expectations of the island. Peering from the car window as we headed for my hotel, the lush green of the mountains were interrupted by a dazzling rainbow. Beneath them a patchwork of sugar cane fields rustled in the breeze. In that instant I realised Mauritius was going to reveal more than just palm trees, beaches and aquamarine bays. 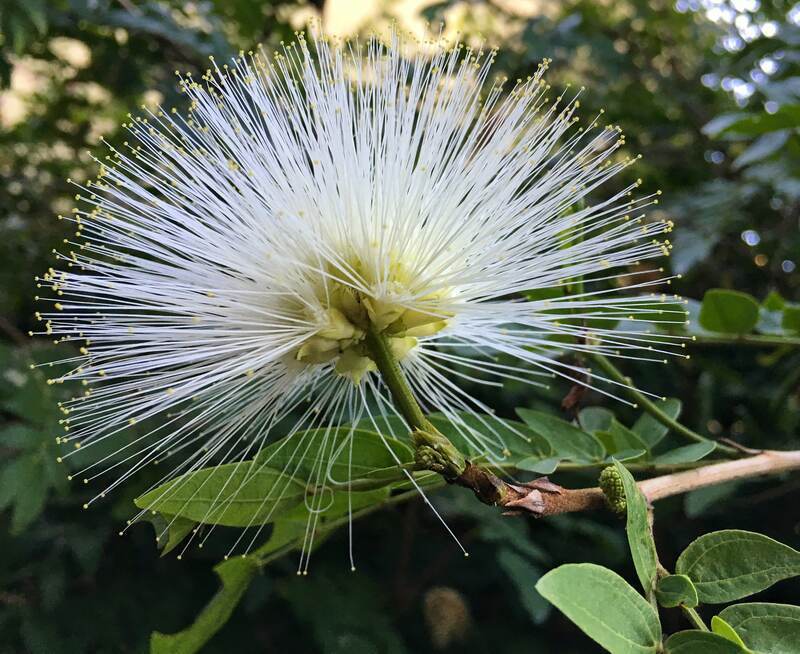 Over the next few days I was entranced by the variety of nature on the island. By its beaches, mountains, giant tortoises, dolphins and schools of shimmering fish making the most of coral reefs. 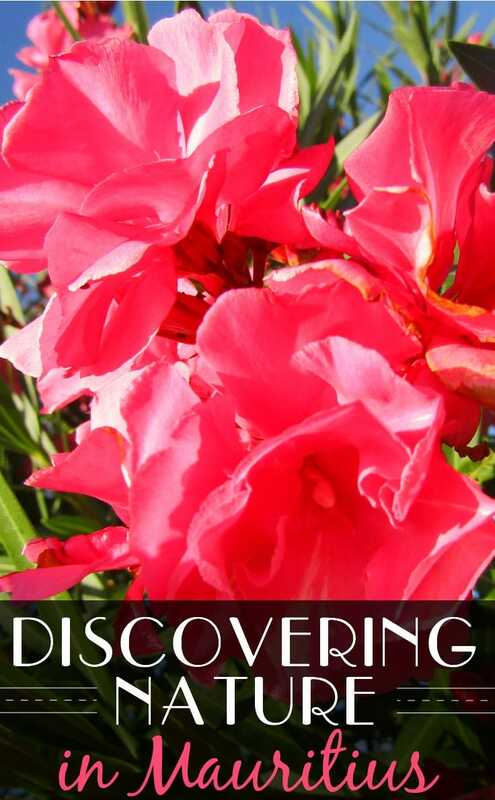 And I didn’t need to venture far to discover nature. Burnt orange sunrises initiated the soft chirping of birds as my alarm clock. Then inky blue starlit skies and the shrill call of crickets provided the wrap of each day. It was inescapable, I was surrounded by nature – in glorious Technicolor, and surround sound. Not that I wanted to escape it. Within Mauritius’ 330 kilometres of coastline, I felt like I was discovering wildlife for the first time in high-definition. 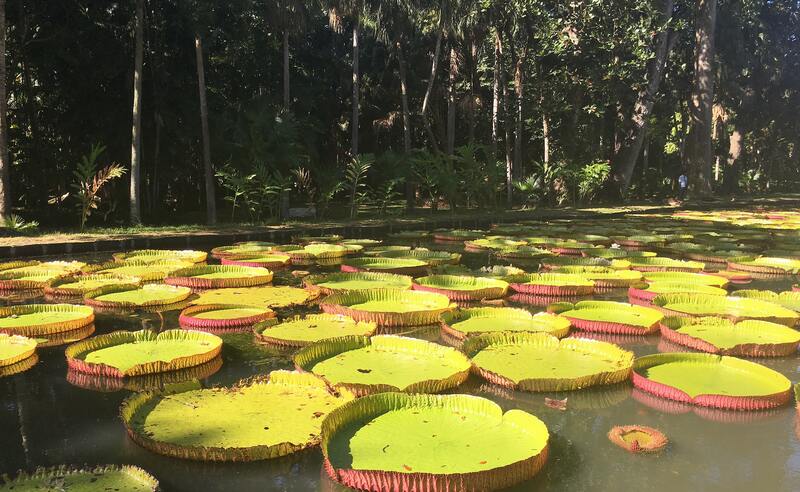 I was enthralled by the elaborate patterned swirls of the island’s leaves and alienesque spiky flowers and at times felt like I was on a movie set, struggling to distinguish between Mauritius’ incredible beauty and some fantasy world of nature’s perfection. Mauritius was set to be my own wildlife documentary, with much for me to learn and appreciate from colourful encounters. Casela World of Adventures was my first chance to get up close to a range of species. It was quite bizarre to encounter African wildlife on an island in the middle of the Indian Ocean. 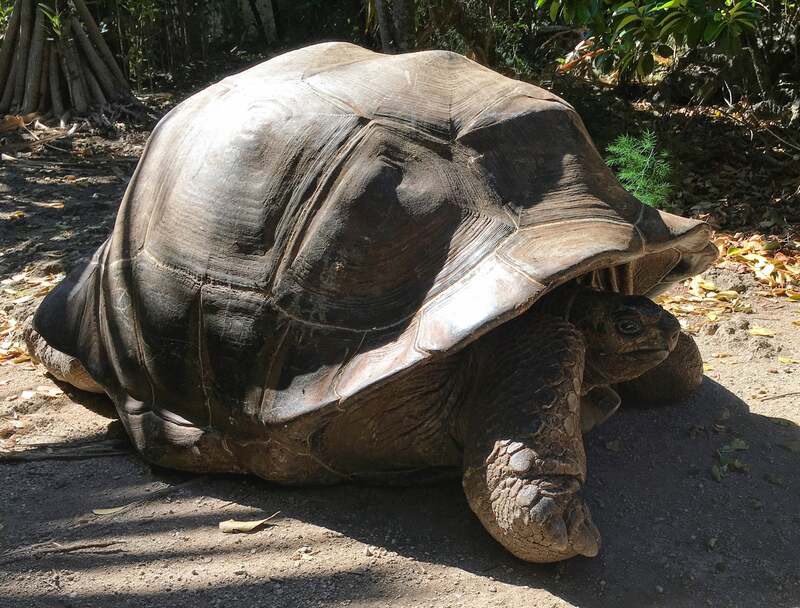 But as Mauritius has a relatively low diversity of indigenous species, Casela provides an opportunity to experience some of the world’s most impressive animals. We chose a segway tour to explore, and following a winding path, it wasn’t long before we were surrounded by ostrich, deer, zebra and oryx. 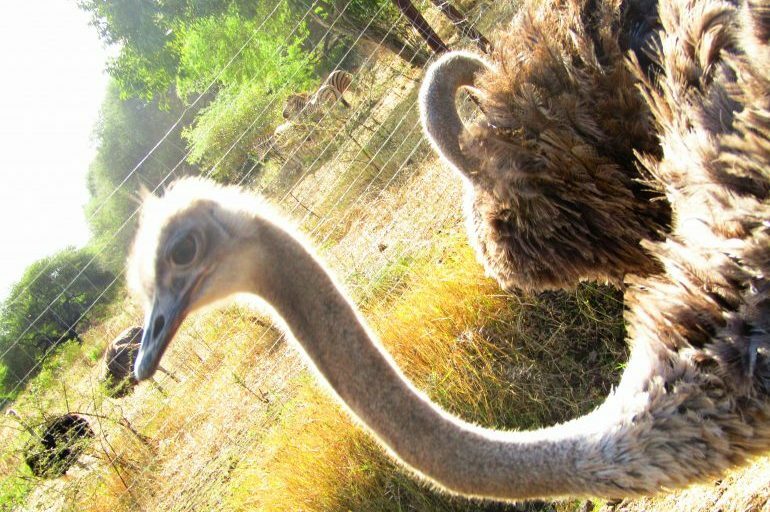 The ostrich were a bit too curious for my liking, as one tried to inspect the pockets of my shorts. As they edged closer, I almost felt like touching their soft feathers that danced on the breeze. But as they sprint at up to 43mph, I knew my segway was no match for them. 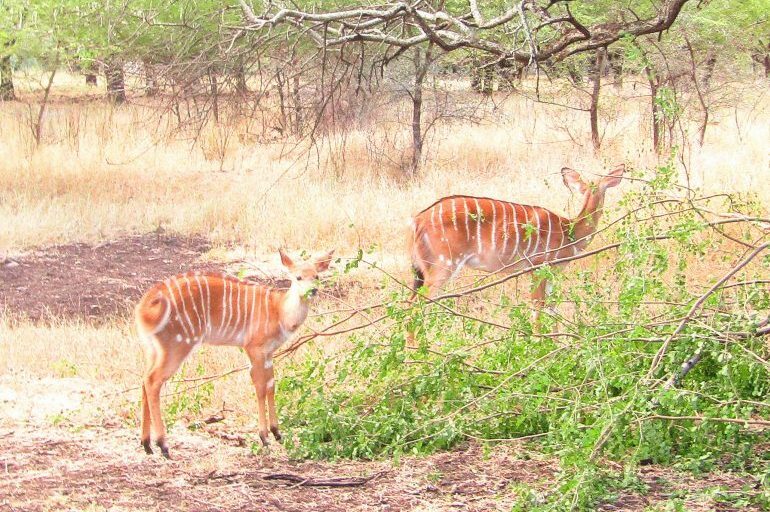 Next we spotted a baby African striped deer, foraging in the woodland with its mother. Looking straight at us, I expected them to dart deeper into the woods. But they were unfazed by our presence and, continuing to forage, only occasionally glanced our way. Against the backdrop of Rempart mountain, and with the sun beating down on us, I felt like we were in the African plains on a safari. I’d never had the opportunity to get this close to wildlife without reinforced glass or a car roof between us. So this gave me a great appreciation for these animals, and I absorbed every detail from a few metres away. Since arriving in Mauritius, I’d been intrigued by the number of illustrations and paintings of dodos I’d seen and was keen to unearth islanders’ obsession with the extinct bird. It was at Iles Aux Aigrettes, in Mahebourg Bay off Mauritius’ south-east coast that I found out more. Endemic to the island, the flightless bird died out before 1700. Now little is known about this mysterious species, despite it being the national bird of Mauritius. But it felt fitting, as the mystery of the dodo extends to the island’s nature as a whole. 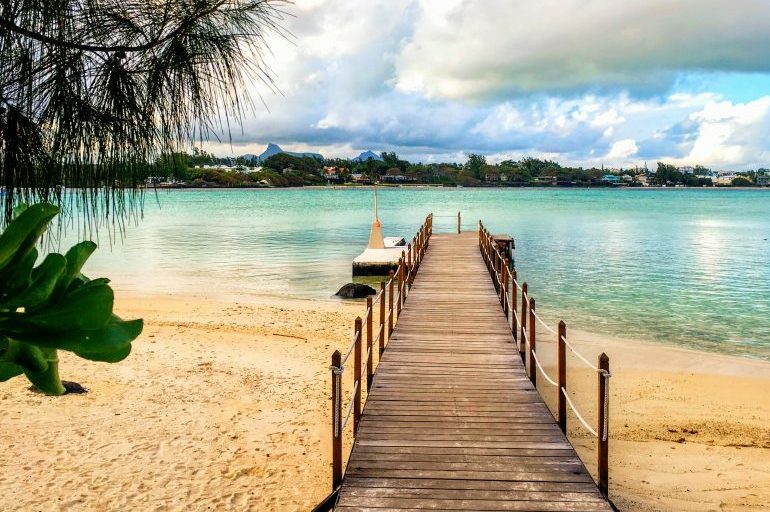 Mauritius’ beaches have long been cast in the starring role of its attractions, while nature has previously played a bit part. After a short boat ride to Iles Aux Aigrettes we made our way to its nature reserve, under a canopy of towering trees. 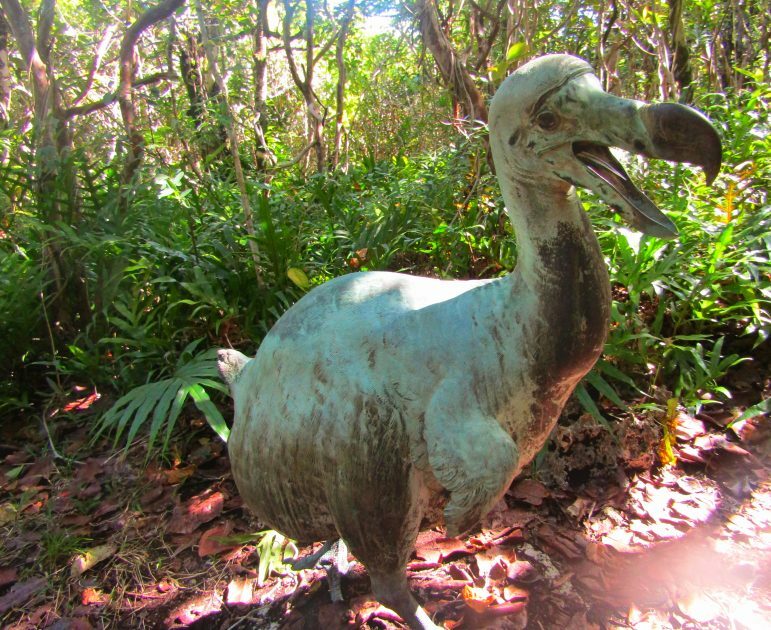 There we followed the Sentier du Dodo nature trail through Ebony Forest to find a bronze statue dedicated to the dodo. I was pleased to learn that the reserve is dedicated to nature. It was peaceful and quiet, and after being declared a nature reserve in 1965, it had seen its native forest re-established. 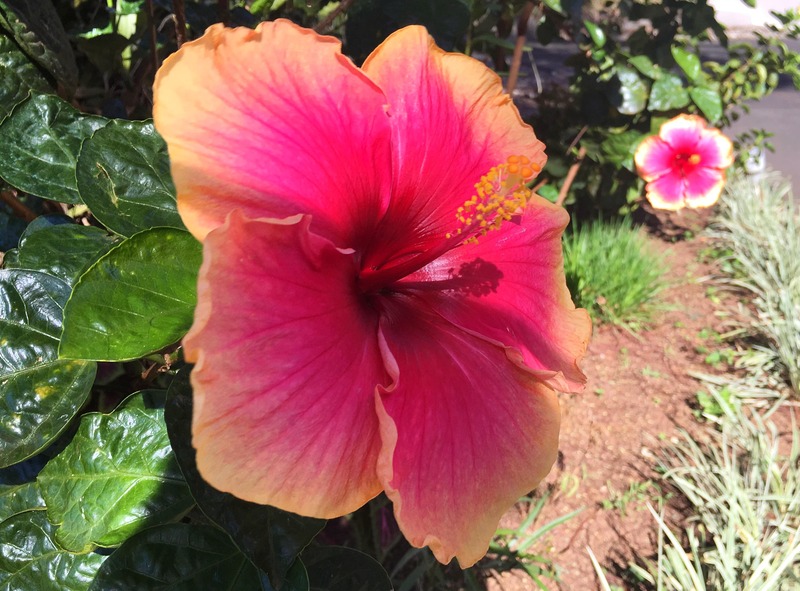 The island is home to the pink pigeon and telfair skink, as well as Mauritian kestrels, fody and fruit bats. I didn’t manage to spot any of those sadly, but I did see a giant tortoise make a slow, lumbering move, as we headed back to the shore. As he casually sauntered past, I felt incredibly privileged at this rare sighting. Oddly he reminded me to slow down and take time to enjoy life, and the island around me. And I chuckled to myself that it took a close encounter with a tortoise to bring that to mind. I’ve been fascinated by dolphins for years, read numerous books about them, and collected far too many cetacean souvenirs. So I had childlike excitement as we left Tamarin at first light to go dolphin watching. I hadn’t realised Mauritius sees bottlenose and spinner dolphins frolic in its warm waters before heading out to deep sea each morning. Nor that you could go swimming with wild dolphins there. As we headed by speedboat towards the sea off Le Morne, I could hardly contain my excitement when our guide told me sightings are frequent around four of the island’s bays. 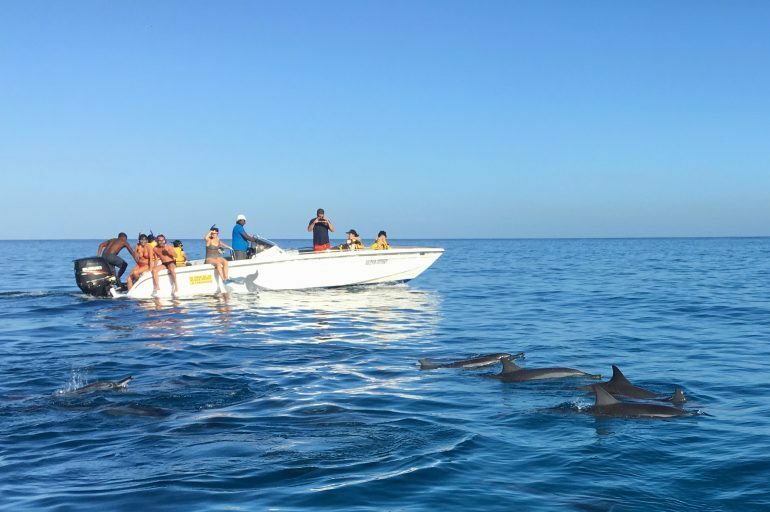 There were a number of tour boats waiting for the first bob of fins above the water, and people hoping to seize their opportunity to go swimming with wild dolphins. But not so much attention to prove a problem for the stars of our morning show. Soon dolphins were bobbing, and cavorting from the waves, teasing us with a game of hide and seek. But underwater was where the magic really happened, with more than 20 bottlenose dolphins swimming gracefully in a synchronised pod. Our guide told us that the bottlenoses and spinners like to keep to their own pods, or else they can become quite aggressive with each other. But I saw no aggression, only balletic manoeuvres. The spinner is known for acrobatic displays, spinning its body as it rises into the air and having never seen a spinner up close, I delighted in them playfully jumping out of the water. The two-hour trip re-ignited my childhood love of dolphins but was over far too soon and I longed to be back out on the water, in their playground. Ile Des Deux Cocos lies just off the south-east coast of Mauritius and is named after two abandoned coconut plantations. 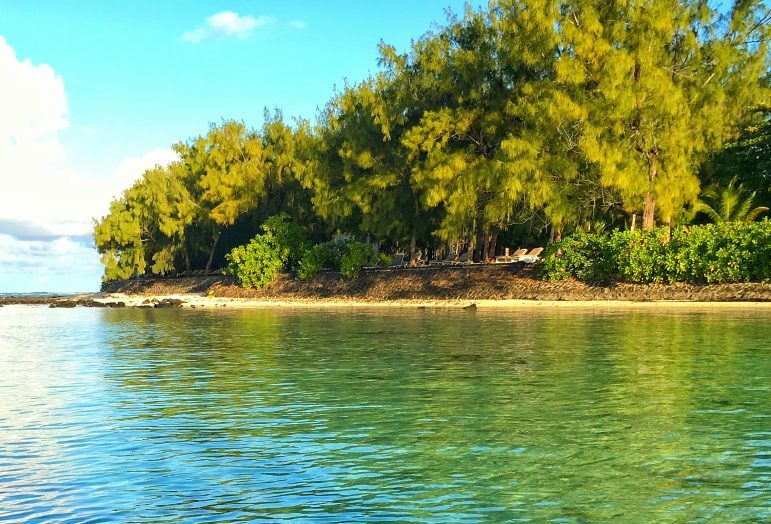 A pendant-shaped island surrounded by emerald and aquamarine stretches of sea, it became Mauritius’ first marine park in 1997. Donning snorkel and fins I waded in to discover its impressive 353 hectares of coral reef. 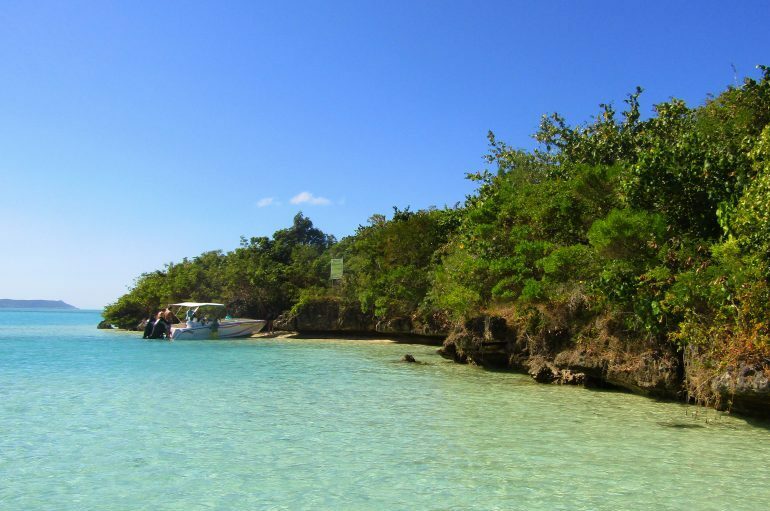 It’s home to 72 types of coral and 32 varieties of fish. I spotted an array of species and colours in just a few metres of the cool, calm waters. Rays of sunlight glistened through the clear water, casting wave-shaped patterns on the seabed and adding to a rather magical experience. I made a concerted effort at ‘finding Nemo’ but to no avail. But although clownfish were elusive, I was wide-eyed behind my mask as I saw hundreds of shimmering silver and black fish dash among the coral. Then there were bright blues and yellows, similar to the tropical fish you see in an aquarium – only here I was, seeing them in their natural habitat. I revelled in the peace of the sea, enjoying the sound of the gentle rush of the waves, and it took me back to basics. Sure, I could have found some rest and relaxation on the beach with a good book – but it wouldn’t be long before I was glancing at my phone for updates. Underwater, I was a world away from technology and its distractions, and I could absorb everything, awakening my senses. Back on dry land, I enjoyed lunch and a cool rum cocktail. 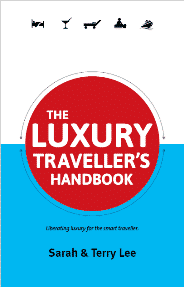 As people began to make their way back to their hotel – Lux Resorts and Hotels owns the island – I felt like a castaway on the island’s sandy shores, my hammock swaying beneath the late afternoon sun. And I mused how the world is home to many romance-tinted picture-postcard sunrises and sunsets, but Mauritius is special. As with each dawn and dusk there’s the promise of a new adventure with nature in paradise. 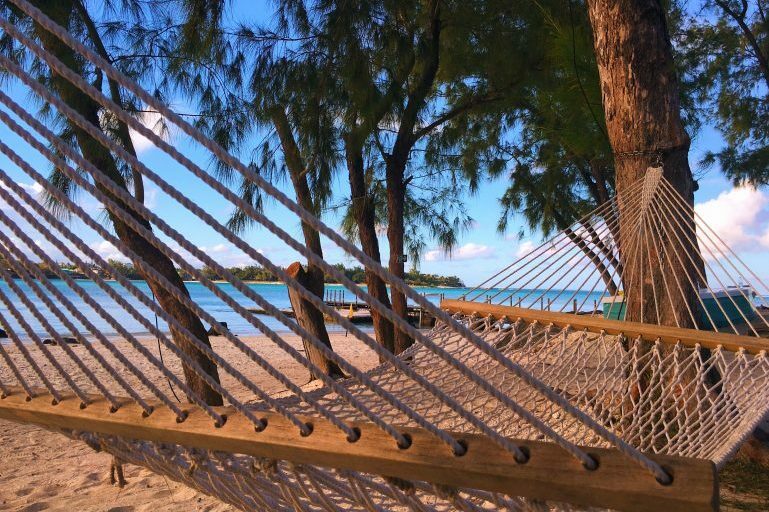 To experience Ile Des Deux Cocos, you can book a day trip, overnight stay or host your own event for an extra special occasion. 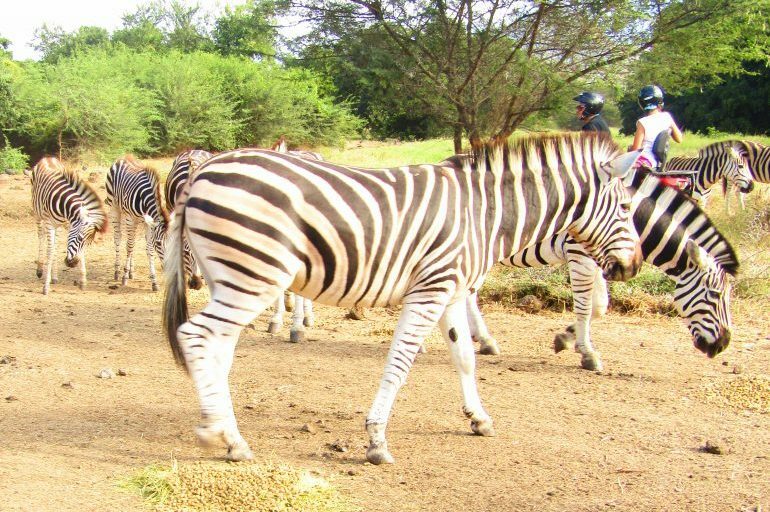 Casela World of Adventures offers many experiences, with four tailored packages to create your own distinct visit: Explorer, Safari, Family and Extreme. Book before you go to benefit from online discounts. Ile aux Aigrettes offers guided tours from 800 Mauritian Rupees per adult. Boats depart Monday to Saturday from the old Sands Jetty at Pointe Jerome, and trips are also available on Sunday mornings.